HAPPY VALLEY-GOOSE BAY, N.L. 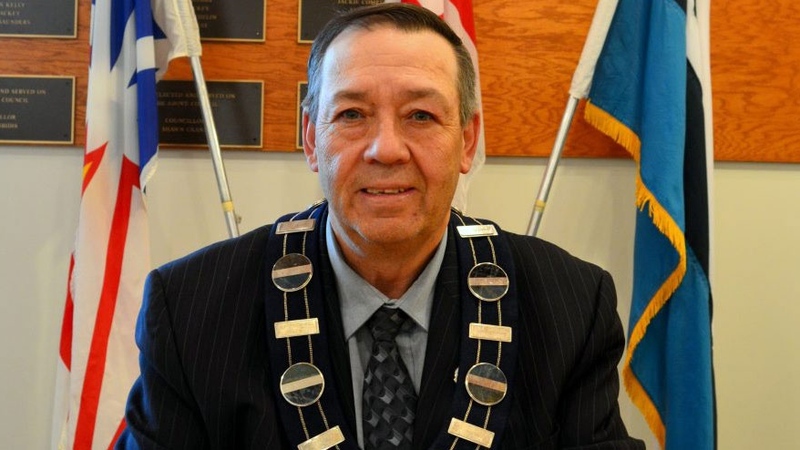 -- Labrador's largest community is in mourning for mayor John Hickey, who struggled by snowshoe and snowmobile to get help after being shot in the face while hunting alone. 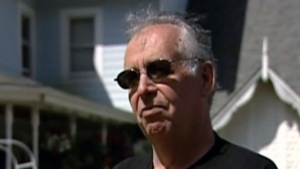 He died late Thursday in a St. John's hospital surrounded by family. He was 62. His younger brother, Hubert, said it was especially tough to lose him after he'd fought so hard to live. "He had to get out of the woods, get on the Ski-Doo, get out to the road, wave down people. He walked aboard the ambulance and then got to the hospital. By that time, he certainly was in a bad situation," he said in an interview. Hickey had been checking rabbit snares alone Saturday just west of Happy Valley-Goose Bay, a community of 8,000 he's led since being elected in September. He was somehow shot in the lower face but was not able to communicate exactly what happened. He travelled about a kilometre out of the woods to flag down help on the Trans-Labrador Highway. "He loved snowshoeing and he would go check his snares," Hubert Hickey said Friday in St. John's. His brother had brought his gun along in case he saw ptarmigans, a grouse bird popular with local hunters. "He would always take this .410 rifle with him, and throw it up over his shoulder in a sling type of thing. If there was ptarmigans around he would shoot them because he liked wild game. "We think he tripped up a snowshoe. Whatever way it happened there, we can't tell for sure." Hickey was airlifted Sunday to St. John's for surgery but his condition worsened as the week went on. He had served as mayor before and was also a former Progressive Conservative cabinet minister in the province. He leaves his spouse, Peggie Best, a grown daughter and several step children and grandchildren who knew him as "Papa John." Hubert Hickey said details are being planned for a public funeral in Happy Valley-Goose Bay. He lives in St. John's but spoke to his brother every week. Two of six siblings, they remained close in the decades after they used to fiercely compete against each other in hockey games as boys, growing up in Twin Falls and later Churchill Falls. "If we were on opposite teams I would forever not let him get around me," he recalled. "I look back on it now, it was great fun. "You never forgot him once you got to know him and heard him. His passion for Labrador was second to none. He just believed in the people." Provincial Speaker Perry Trimper knew Hickey for 30 years. He was with him at hospital in Goose Bay last Saturday night and had spent the evening before with him at a party. "He had a great presence as a community leader but he also loved his family dearly and he loved Labrador. He was such a fan." Hickey had harmonized those three great passions in the last months of his life, Trimper said. "Up to the moment of that accident, he was in a very good place." Newfoundland and Labrador Premier Dwight Ball said Hickey was a fighter who always put the Big Land first. "John was well known for his straightforward approach on tough issues, and he never backed away from a challenge," he said in a statement. Former premier Danny Williams paid tribute to Hickey as a loyal, kind-hearted "true advocate for others." "Rarely have I met an individual so dedicated and passionate in representing the people he served," Williams said in a statement. "Labradorians will probably never fully know the enormous contribution that he made on their behalf." My thoughts and condolences are with the family and friends of John Hickey. John was known as a fighter in politics, and always fought for Labrador. We will miss him. Hickey was alone in the woods on Saturday checking rabbit snares when the incident occurred.